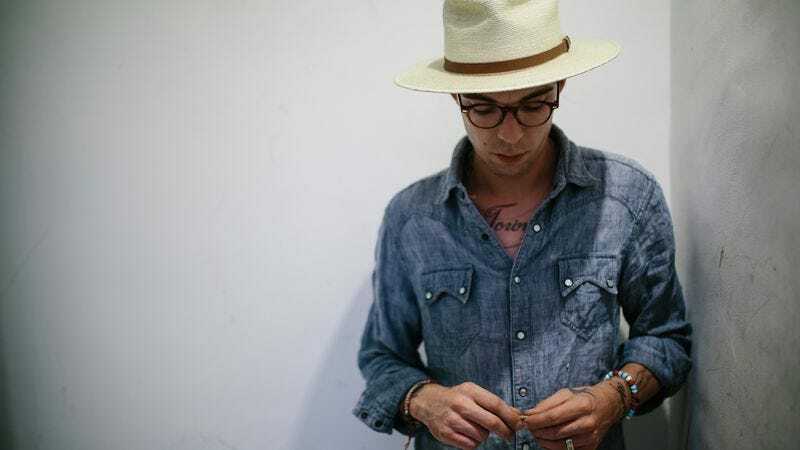 On Justin Townes Earle’s last album, Single Mothers, the folky troubadour was especially intimate, explaining his childhood tersely on the title track: “single mothers, absent fathers, broken home.” That line was the LP’s thesis statement, a recurring theme made more personal by the fact that Earle is the son of country-rock legend Steve Earle, who left Justin’s mother when his son was only 2. Although Single Mothers was originally meant to be a double album, Earle ultimately scrapped that idea in favor of releasing two separate but interconnected efforts. Earle’s sixth full-length, Absent Fathers, is the second half of the recording sessions, coming out just four months after Single Mothers. The worthy companion album matches its predecessor in tone, length, and emotional resonance. 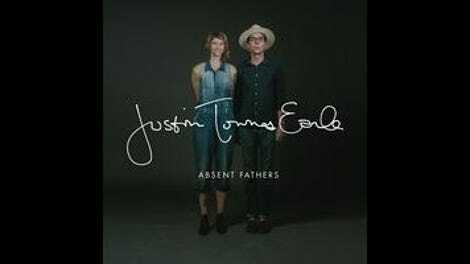 Because it was recorded alongside Single Mothers, Absent Fathers features the same three-piece band backing Earle, including Paul Niehaus (Lambchop, Calexico) on pedal steel. With those players in place, the album boasts an unfussy but seamless blend of Nashville classic country (“Slow Monday”), Memphis-inspired blues rock (“Round The Bend”), and ’60s soul (“When The One You Love Loses Faith”). Earle remains a skillful frontman, more than able to land both heart-wrenching and uplifting lines. As much as Earle’s twangy croon drives the music, an equally melodic force comes from Niehaus, whose dulcet pedal steel tones give the songs a lush and moody backbone. The less-is-more album standouts “Day And Night” and “Slow Monday” feature just Earle and Niehaus. Lyrically, Earle also treads the same territory of Single Mothers, bouncing between a variety of moods but always being wholly candid. Opener “Farther From Me” is almost explicitly addressed to his father, with lines like “Wish I could say that I know you / ’Cause lord, I wanna understand / Need you to know there’s nothing I want more in this world as a man” detailing their frayed history. “Why” tackles the anger and confusion after a relationship’s fallout, while “Day And Night” finds Earle settling down (“My heart might be broken / ’Least these days I got me a good woman”). Overall, Earle’s down-to-earth delivery makes him a deft storyteller, although he sometimes lays it on a little thick (the meandering airplane metaphor “Looking For A Place To Land”). Though somewhat jarring, splitting up the songs into two companion albums was a smart move for Earle. A double LP would have been undoubtedly bloated, possibly poorly sequenced, and overflowing with somberly personal, midtempo Americana. With the separate releases of Single Mothers and Absent Fathers, Earle has made two distinct albums that manage to succeed both as standalone and complementary works. While his steadfast consistency isn’t the flashiest trait in a songwriter, his newfound confessional streak is alarmingly resonant and refreshing.